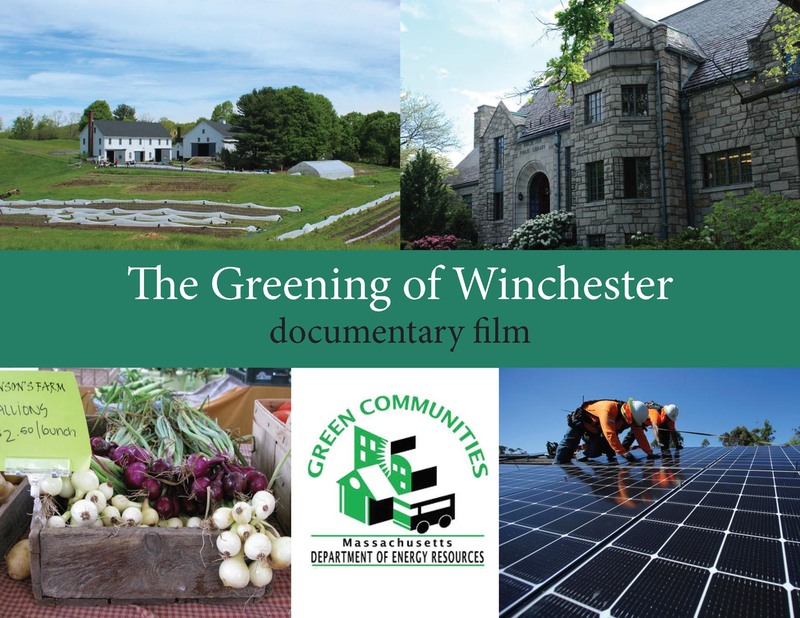 Documentary film, 25–30 minutes in length, about how Winchester became a green community and won the Leading by Example award in 2016. It portrays Winchester's thriving farmers market and Wright-Locke Farm. The film investigates the town's transformation: When did it start? Who were the change agents in our town and in our state, including residents, groups, schools, parents, businesses, town and state government departments, representatives/senators and utilities? How and what changes were made and what were the results of the town-wide programs? The documentary shows how these changes created other opportunities within the community. Materials used are a mixture of media from the newspaper, TV news, home movies, on-location filming and interviews with stakeholders from the past and present.